What if everything we knew about the ancient history of our world was wrong? What if ancient civilizations left clues to the existence of a lost world behind in their monuments and architecture? When Lady Emmaline Harcourt's fiancé goes missing while on an expedition to find traces of this ancient, lost civilization, she recruits notorious thief, rogue, possible murderer and, worst of all, American, Trent Bridgstock to accompany her on a world spanning hunt for her missing fiancé and a lost world. 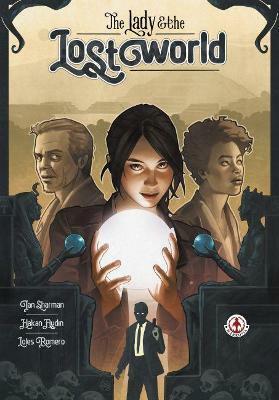 The Lady and the Lost World is an archaeological action-adventure tale in the tradition of Indiana Jones and Tomb Raider with a surprising Lovecraftian twist.